Representing your interests and real estate investment assets with diligence and due care is what you can count on from Tarun Gupta. Transparency of process accompanies Tarun‘s background in financial planning and wealth management. Expert navigation of the complexities of the GTA commercial real estate market are the result. Count on insight and expertise that maximizes profits with the least amount of stress. Depend on Tarun to represent your commercial real estate listing with conscientious service and the highest standard of ethics. Have you got questions? Don’t hesitate to call or chat online. Answering questions and providing essential services to clients selling commercial property are Tarun‘s favorite things to do. Articles by Tarun Gupta have also appeared in commercial real estate magazines and ezines. When you need a commercial real estate expert in the Greater Toronto Area, talk to Tarun Gupta for a clear picture of the market and your property’s place in it. 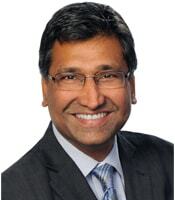 Tarun enjoys providing expert advice on commercial real estate specific to Toronto and the GTA. Some may tell you- and try to sell you -with just what you want to hear; Tarun talks specifically about what you truly need to know. Call Tarun today to discuss your property. You can also talk to Tarun by clicking the black chat box at the bottom right of your screen. List Your Commercial Property With Tarun!